To program new keys for Toyota cars there must be one working key available. If all keys are lost it is not possible to program a new key without replacing the immobiliser system. If you have lost all your keys for your Toyota we can still help, but the process is time consuming and, as a result, expensive. If you currently only have one key we would strongly recommend getting a spare key programmed, as soon as possible. 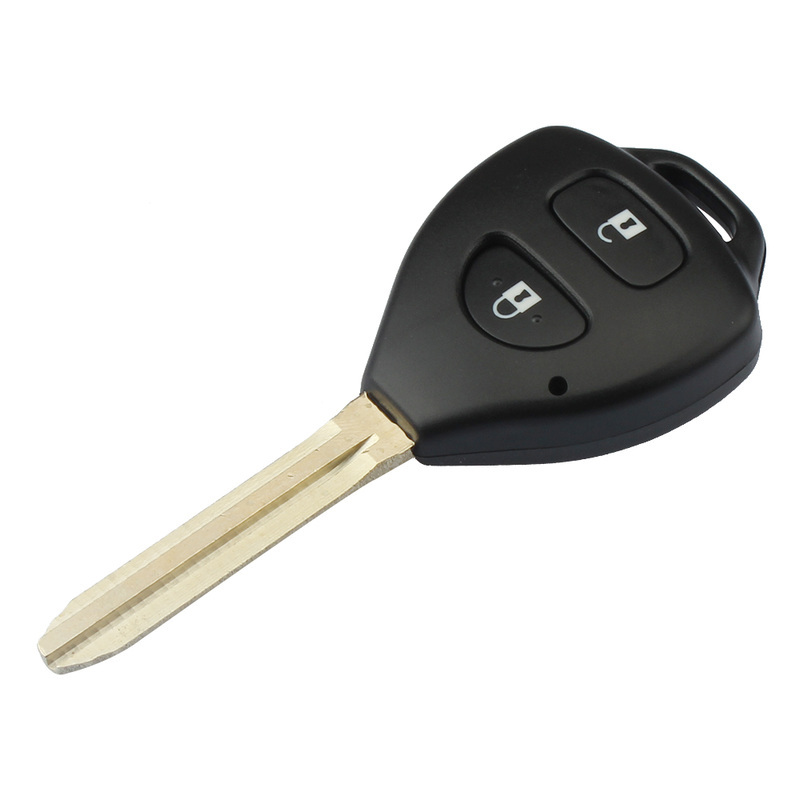 2 button remote key for your Toyota RAV4. Supplied, cut and programmed at the vehicle. Offered with a 12 month warranty against electronic failure.